Carmel was somewhere I always went as a kid, but never really as an adult. I’m not sure why, it just happened that way. I think I was too caught up trying to visit new places, only to realize getting a new perspective on a familiar place can be equally as enriching. 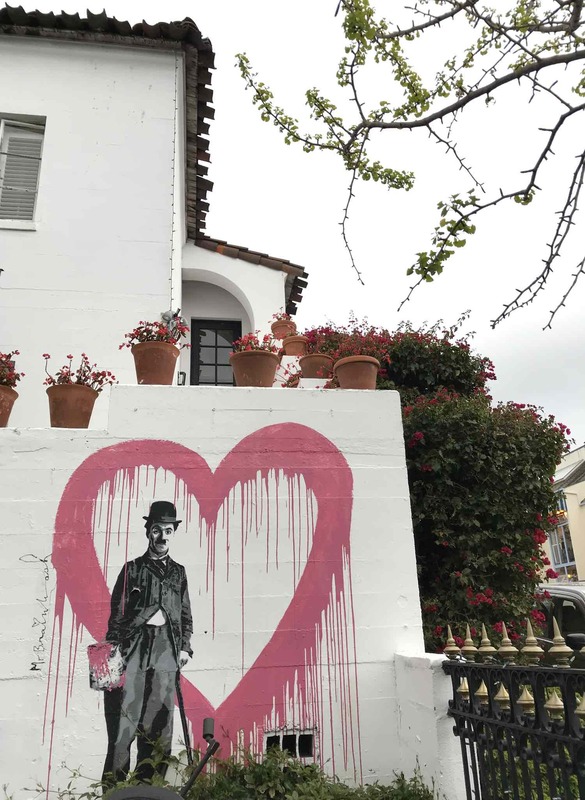 My boyfriend and I spent a weekend away in Carmel last month and it was the city escape we needed. We could truly just shut off and explore on foot. No stressing about parking, in-between Ubers, restaurant reservations, or dress code. Not even GPS is required here since businesses don’t have numbered addresses. Trust me, the town is so small you won’t get lost. And while the weekend started off dreary and stormy, the sun came out in full force on our last day. Our weekend in Carmel was a chance to truly take it easy. Need a break? 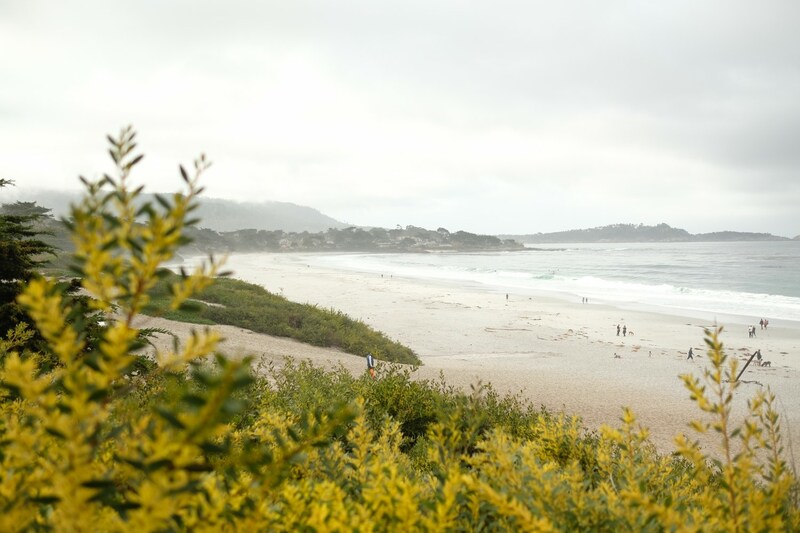 Here are my recommendations on what to do with a slow-paced weekend in Carmel. Hofsas House: quite possibly the cutest hotel ever! Hofsas House is a family-owned property with 38 uniquely decorated rooms, centrally located in Carmel. Our spacious room had not only a view of the ocean, but also a fireplace and kitchenette. Hofsas House has thought of every little thing to make your stay in Carmel as comfortable and convenient, as well. They offer free breakfast, free parking, and free wifi, which to me is always appreciated. The staff are super hospitable and informative, providing plenty of recommendations and tips to get the most out of your visit. Additionally the property is very family-friendly and they also welcome pets. 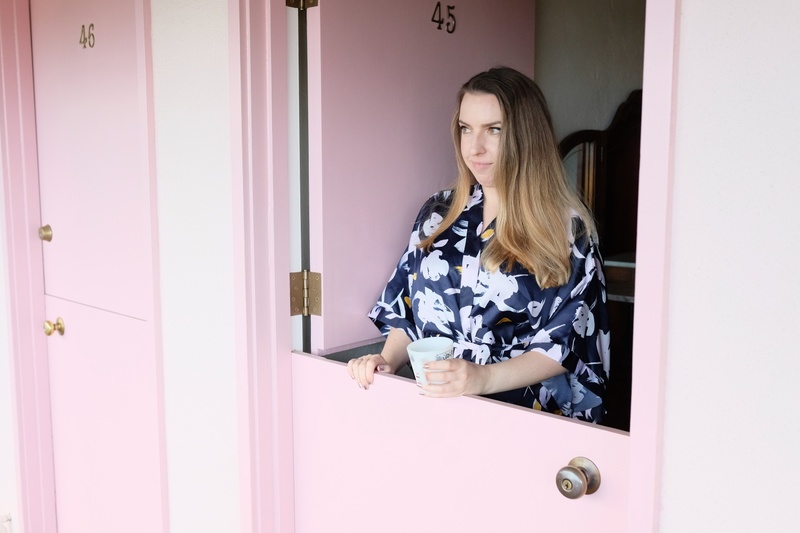 The Bavarian-inspired exterior and Dutch doors on the rooms certainly made me feel like I was one million miles away from the noise of downtown San Francisco. 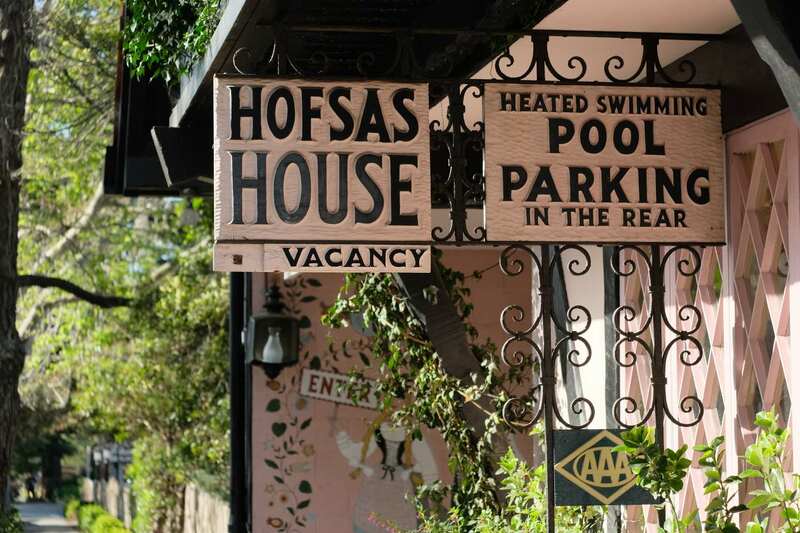 Lastly, Hofsas House has several different reservation offerings to make your stay even more memorable, perhaps with a couples message, golf package, or Monterey wine and cheese pairing upon check-in. 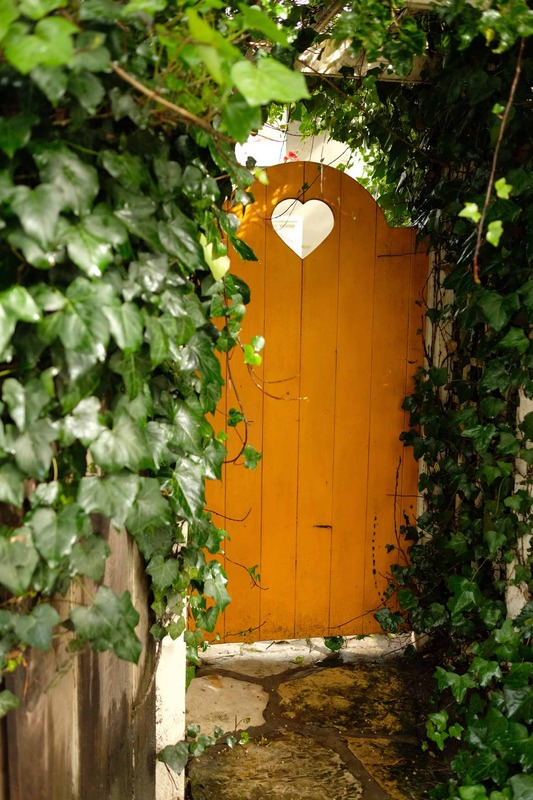 Courtyards & Passageways: there are dozens of these hidden gems, seemingly one around every corner in Carmel. If you enjoy finding unique locations for your Instagram backdrops, you’ll love Carmel. 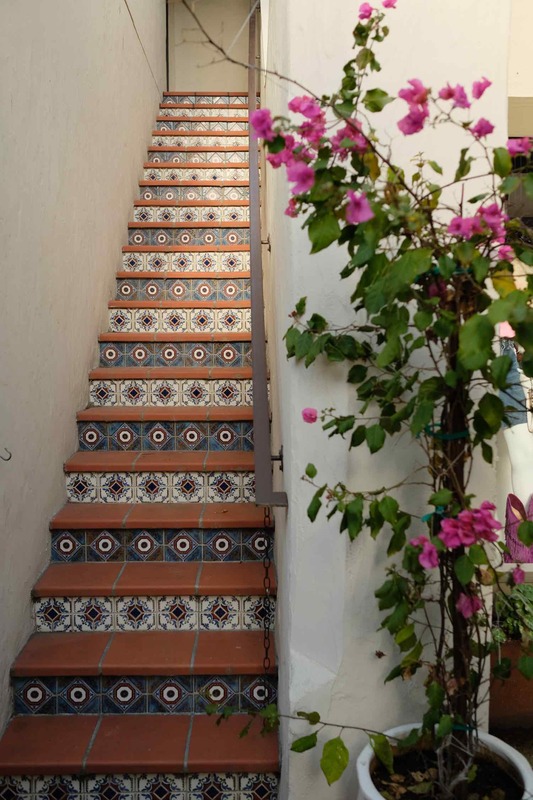 You’ll find luscious bougainvillea, hand painted tiles, fairytale architecture, and fountains galore. Carmel Beach: just a short walk from central Carmel is this dog-friendly beach. Just follow Ocean Ave all the way down the hill and you’re there. It’s also a perfect jumping off point for a hike on the Scenic Bluff Path. 17 Mile Drive: do this drive, and do it preferably in a convertible! This gorgeous drive through Pebble Beach is a must, with plenty of scenic overlooks that are seriously postcard-worthy. Half is in the forest, the other half along the sea. You’ll want to bring your camera for this one. My favorite area was around Spanish Bay. Hog’s Breath Inn: formerly owned by Clint Eastwood, this is one of Carmel’s most famous eateries. We sat in the bar area which feels like its own little lodge. We enjoyed amazing sliders and a wedge salad which I would certainly recommend. Scheid Vineyards Tasting Room: there are so many tasting rooms in Carmel now, all easily accessible on foot. Scheid Vineyards was a standout, featuring dozens of different grape varietals most hailing from the central valley region. They truly have something for everyone. 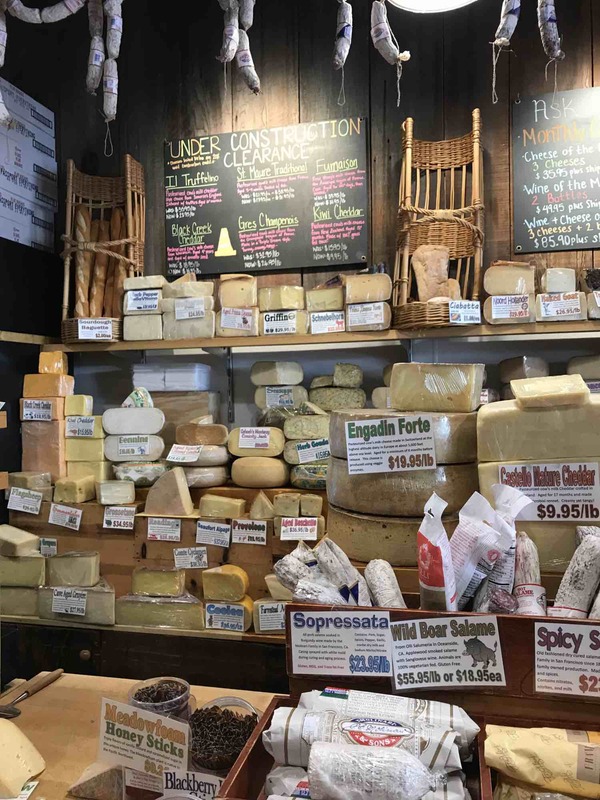 The Cheese Shop: my trips usually revolve around meals, and when I’m not having a meal, I may be seeking other places to enjoy small bites in-between. This local shop has an incredible selection of cheese, wine, and other accoutrements to inspire your next wine and cheese night. They are definitely generous with samples, so it’s worth a visit. 5th Avenue Deli: this local deli has an outstanding selection of soups, salads, and sandwiches. Our lunch from this deli totally hit the spot. Get a glimpse of my salami, brie, sundried tomato, and pesto sandwich on a sourdough roll in the vlog to see what I mean. Have you been to Carmel before? It was so easy to get to from San Francisco, but plan ahead for potential traffic on highway 17 over the Santa Cruz mountains. Sadly it rained during our trip so we missed out on hiking Point Lobos, touring the Carmel Mission, and enjoying a sunset at Mission Ranch. Those are on the top of my list for next time! Like this post? Pin this post and share the love. Be sure to check out some of my other United States or other California content before you go. Thanks for reading! Thanks Hofsas House for hosting us for the weekend in Carmel. Great review! That deli sounds delicious! This looks like such a perfect place for a quick getaway! OMG, you looked like you had a blast. I’ve only been to California once and I’d really love to go again. Next time, I may have to go to Carmel because it seems so lovely and aside from that, I’m all over that 5th Ave Deli. Where I live now, the best deli they have it the deli case at the local grocery store. Ha! OMGoodness how cute is Hafsas House. I love those doors and the entire look. I’d definitely have to check out each Court Yard and Passageway how fun. That drive along the beach would make me want to take up residency in Carmel. I moved to SF Bay 2 years ago and Carmel is one of favorite places! It is so picturesque, has a European flair, many coffee shops and cute boutiques. The scenic drive that takes you there is a cherry on the top. That’s a great review post! The pictures are stunning!! There are so many placed I’d like to visit in California. I’ve only ever been to L.A.! That cheese shop looks like an actual dream! I’m obsessed with trying out different cheeses. Yum! Awesome place for a quick getaway. Love the ocean view and quaint cottage-like feel. This looks like you had a great time there. I would love to visit this place. this is a perfect package I must say. This looks like so much fun! Summer goals for me for sure. I didn’t realize this was so close to me – I would love to go on a weekend and spend time there. It is beautiful! Like visiting a whole other country.